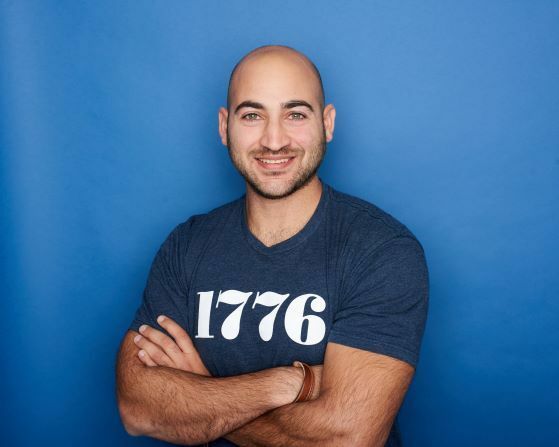 When you ask founder Saed Shela what the secret is to Social Dice’s success, he will say it is about making the hiring process smart and easy. Previously a software consultant, Shela founded Social Dice out of his own frustration with the online recruitment process when trying to hire an IT team. “I posted all around on different sites like Bayt, Linkedin, Jobs.ps and so on. The recruiting companies in the MENA are very expensive and job sites are not sufficient to manage the recruitment process at all,” he said. The way the software works is that companies post their job descriptions, which are then placed on several job sites with a single click. The software then displays to the company, which can be in the thousands, only the most qualified CVs that applied to the position. “You can schedule an interview, go through the hiring process, write comments about an applicant, give pre- and post-interview feedback and engage with the team in the hiring process,” Shela said. All the jobs that are created on Social Dice have one aggregated pool - this way companies can leverage CVs for future job openings. Palestinian-born and Dubai-based Shela founded Social Dice after his idea received the top prize at Startup Weekend Ramallah in 2013. The event brought him together with Nael Ramadan, now CTO of Social Dice. The team launched Social Dice’s first version in 2014. The first segment they went after was IT companies based in Jordan. For the first four months after launching their minimum viable product, they didn’t have any paying customers. 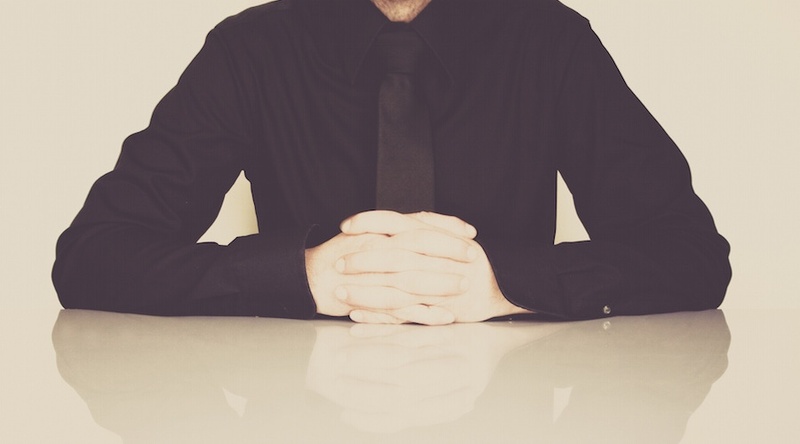 “We pivoted three times, until we found the secret formula for the business model to sell. We needed features that customers are willing to pay for,” Shela said. The formula was such that any company that decides to use the platform pays Social Dice a fixed amount per job post. Now they have different packages for the number of job sites a company wants to advertise on as well as the level of support a company might want from them. The latter model resulted in acquiring their first five customers in May 2014. They even tried to replicate the same model in the Dubai market, but the team didn’t see the results they had wished for. After steady growth, the team now has 10 members across the region. 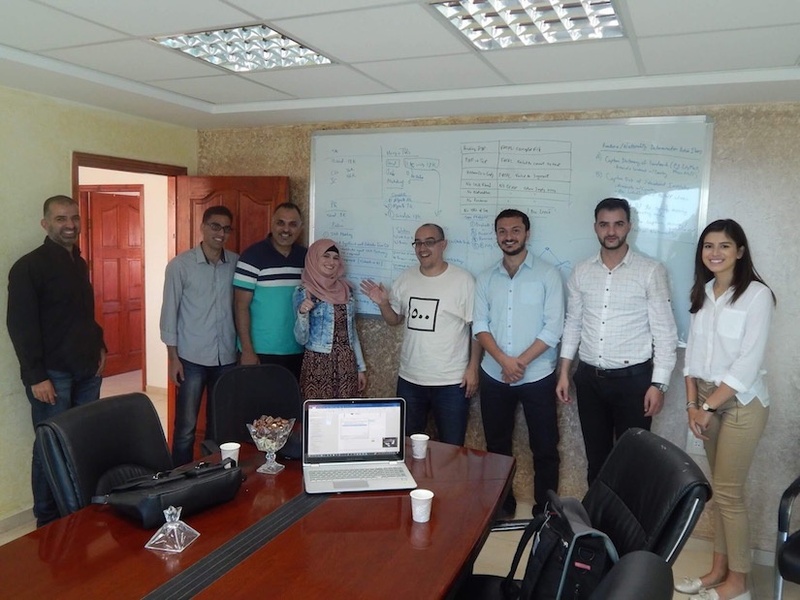 Ramadan leads their software engineers in Palestine, while the customer support team is based in Jordan, and Shela leads the sales team and the company from Dubai since most of the companies using the platform are based in UAE. Over a hundred companies use Social Dice to hire. And it looks like they’re on a roll since companies like Fetchr, Atypon, Gibran, and IN5 have all signed up to find talent. While they don’t measure how many hires come out of the recruitment process, Shela explained Social Dice was more about automating the process for big companies. Such automation is proving what they’re doing is working. From the first quarter to the second in 2016, they saw growth at 200 percent. Shela credits this success to the fact that they changed the model and added an annual subscription feature. Social Dice has also attracted heavyweight investors from around the world and they’ve already completed two investment rounds. Rather than calling them Series A or Series B rounds, Shela prefers to call it Seed A and B. 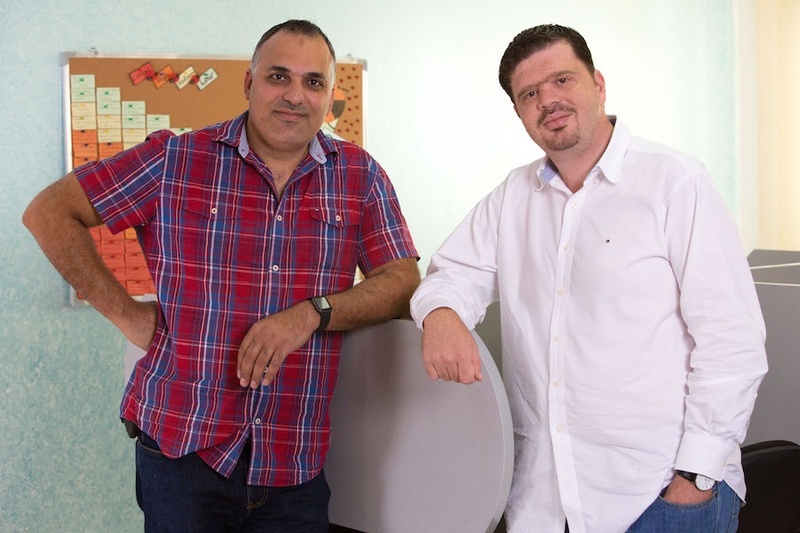 Their Seed A round in 2015 raised funds from Oasis 500, Sadara Ventures and Palestinian businessman Zahi Khoury. Their Seed B wrapped up this past summer and included the likes of 500 Startups, Raed Ventures (a Saudi venture capitalist firm) and Sadara Ventures a second time around. And Dave McClure, founder of 500 Startups was also enthusiastic about the recent investment, making it the first time they invested in a Palestinian startup. What’s next for Social Dice? The team is set to launch a career site for employer branding to enable companies to create a personalized page using a smart wizard. “This career site will be focused on reflecting the values and culture of the company rather than only listing job openings,” Shela said. They are also in the process of developing a ‘hiring health checker’, a smart tool that will let companies evaluate their hiring process and view an insightful report that shows them where they have challenges in the recruitment process and what are the action items to improve these areas. An added perk is that the report will be free of charge for any company using Social Dice.